A bad hair day can ruin even the best made up face and an entire day! But bad hair days are passé now. With Ellips hair vitamins, style your hair every single day the way you want it to be. Conditioning for frizzy; dry and rough; chemically treated or simply hair that tangles up and refuses to behave. A review of this good product I was asked to try out. 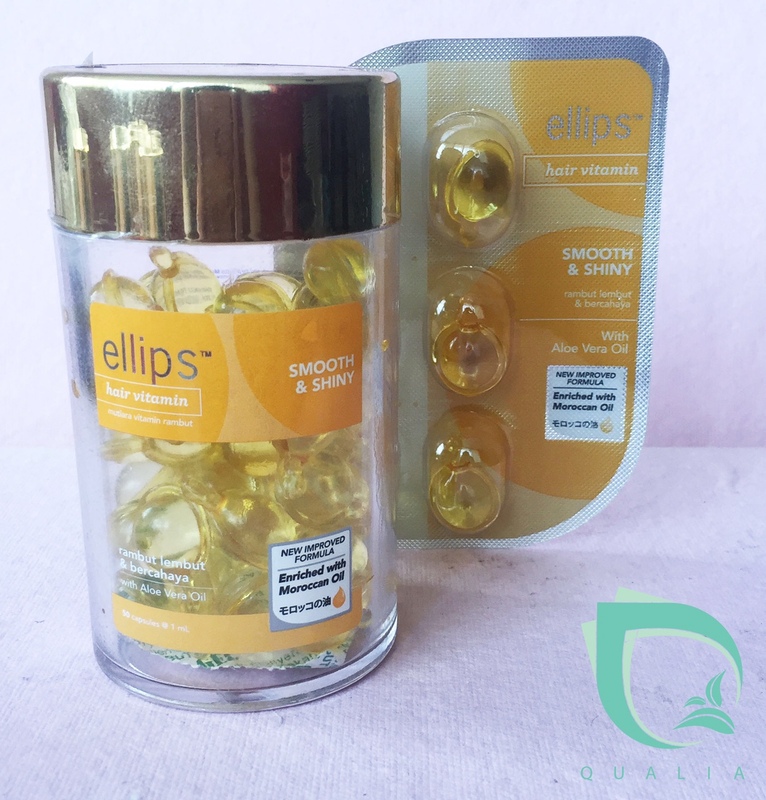 ELLIPS HAIR VITAMINS at Qualia Day Spa. A well-appointed Spa in the heart of Kilpauk. 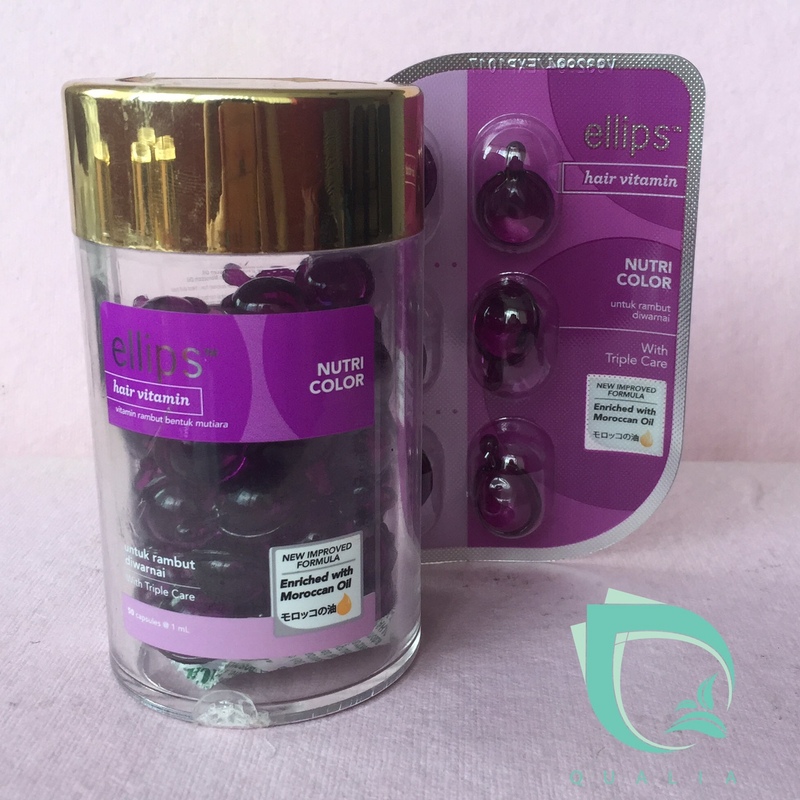 Ellips hair vitamins, a product of PT Kino Indonesia, – 5 variants, each one (detailed below) addressing specific issues of hair. Fortified by Moroccan Oil, Vitamin A, C, E, Pro Vit B5, they give hair that healthy, shiny look and make it easily manageable – by forming a thin protective layer on the strands of the hair. It is a leave-on product to be applied on towel-dried hair. Select one or a combo to condition your hair suitably. For initial use to assist in rejuvenating hair, before the use of other vitamin enriched oils. Enriched with the precious Moroccan Oil, Jojoba Oil, Vitamin A, C, E & Pro Vit. B5. Styling hair is of tantamount importance today across all ages. We are under pressure to look our best and trendy, even with our hair. So all that colouring, curling and straightening using heat can dry the hair with the resultant split-ends. 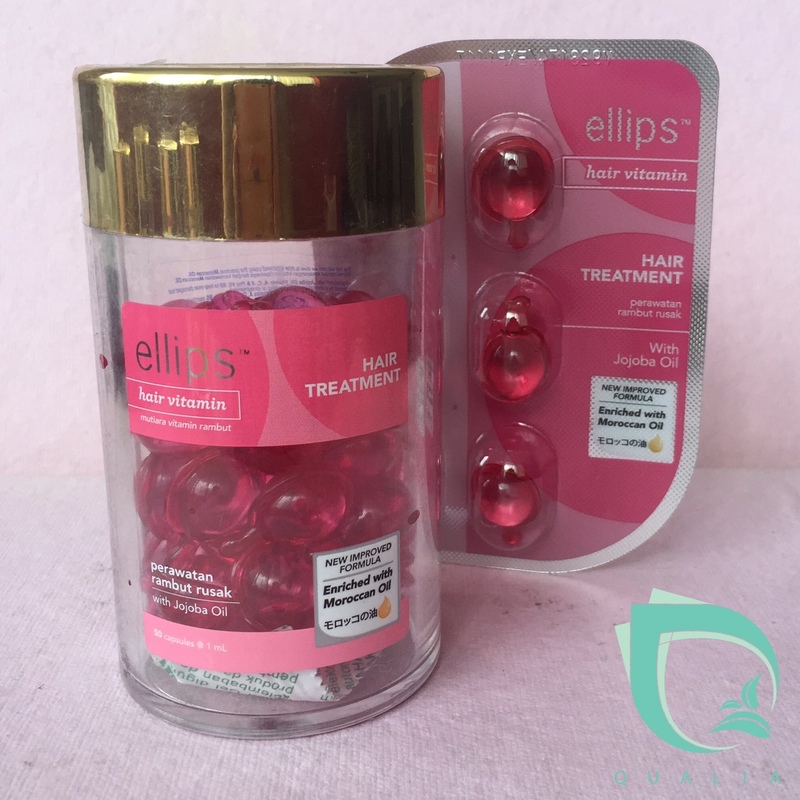 With this Ellips HAIR TREATMENT vitamin, all that damage can be diminished. It helps set broken hair and the frizz by coating every strand of the hair with its beneficial ingredients. Experts recommend that you use this variant at least a couple of times before you move on to choose the one appropriate for your kind of hair. Normal, healthy hair is a boon. But in the rush of todays times, pollution and wrong eating habits are wont to take a toll, even on the healthiest of hair. 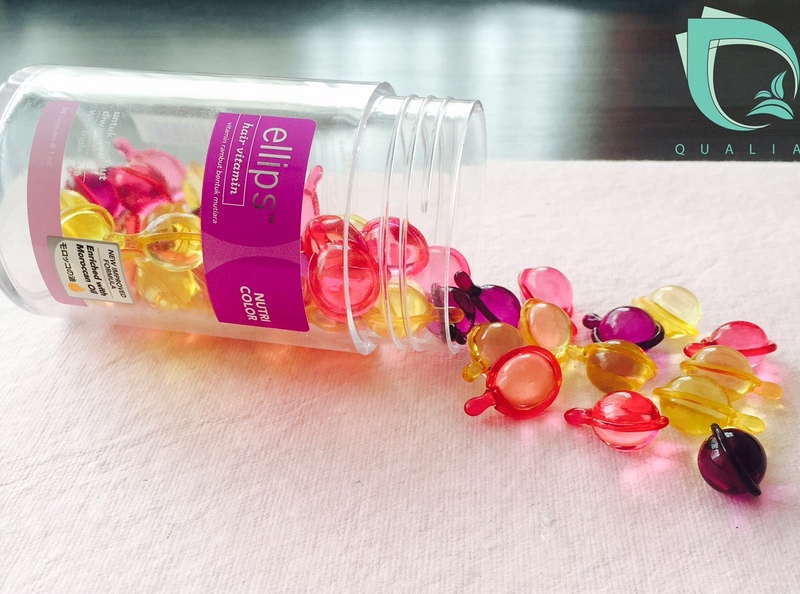 This Ellips SMOOTH & SHINY hair vitamin can help nourish and moisturise your hair and bring back that shine and lustre. Do you know why hair serums and conditioners give your hair that sheen ? All hair serums and conditioners reflect light , thereby letting your hair shine, it’s that simple !! Specially formulated oils to maintain and enhance chemically coloured hair. Enriched with Moroccan Oil and Triple care Formulation. It’s the in-thing today to use blonde shades for highlights or on the tips of the hair, but when the harsh sun naturally bleaches our hair, we run for cover and coverage !! Creative and aesthetic colouring of hair can burn a hole in our pockets. Wouldn’t we do all we can, to preserve that colour for as long as we can ? Coloured hair tends to lose its shine due to being chemically treated. We all wish it glistened as much too, right? Then, check this out. 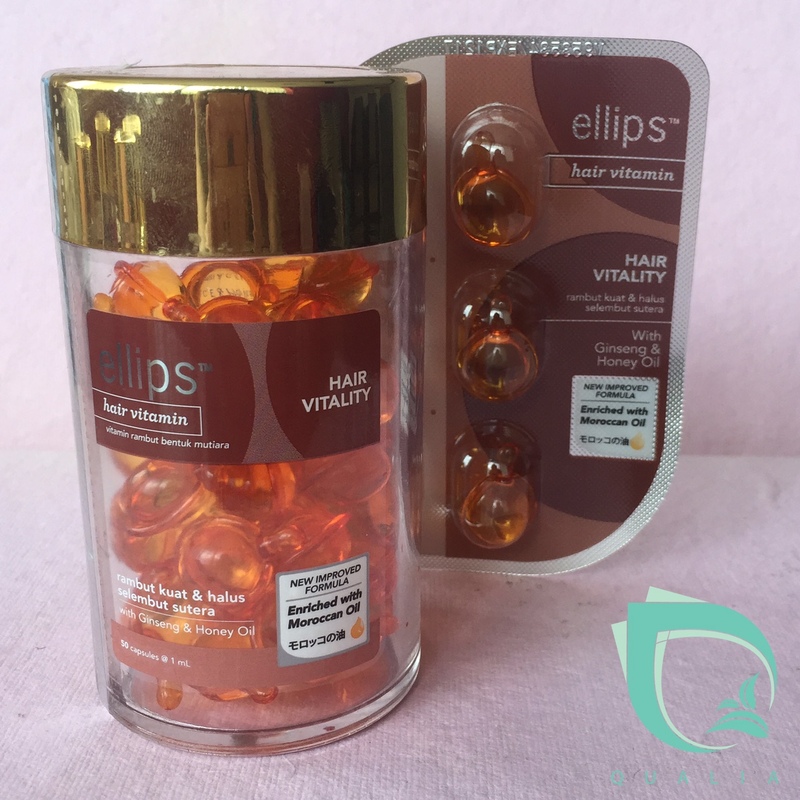 Ellips NUTRI COLOUR hair vitamin protects your hair from the sun; helps nourish sun-damaged hair; preserves your precious hair colour and restores shine and sheen to coloured hair. I am assuming this variant will be the most used !!!!! Purpose formulated vitamin oils to rectify stressed, damaged or brittle hair. Silky and smooth, these two words, most often bring to mind hair and skin, in that order. Don’t we all love to run our fingers through our hair and feel that sensation ? If those with brittle, coarse hair think that is a distant dream, well, Ellips HAIR VITALITY vitamin can make it a reality. From it’s very first application, hair feels healthy and silky-smooth, due to the goodness of ginseng and honey oils. To maintain gloss on healthy and full-bodied naturally black hair. There are still a breed of people left in today’s world of colour who love black hair and wish to keep it that way. But like I said earlier, excess exposure to the sun can rob the hair of its black hue. 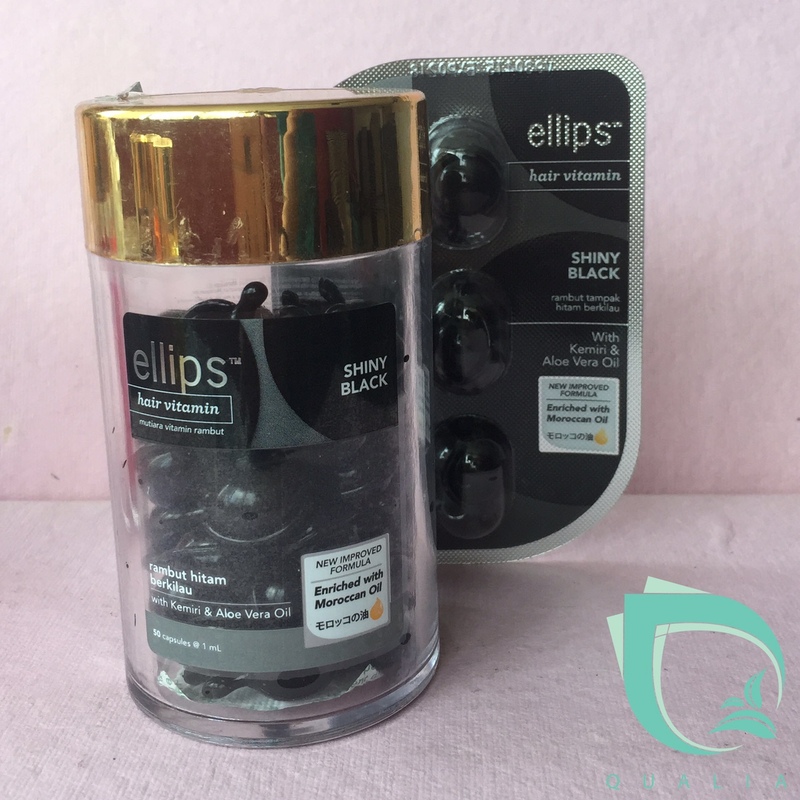 Ellips SHINY BLACK hair vitamin will do just that, help retain your shiny black hair the way you always want it. The Candle Nut (Kemiri) oil in it does the magic. We are revealing an age-old secret to you. This candle nut (Kemiri) oil is suitable for all hair colours. It brightens and intensifies the hair’s original colour. Uber cool ! Every Ellips hair vitamin comes in this kind of capsule. Cut open the capsule, squeeze the product into your palm, rub your hands together. Apply and distribute evenly through towel-dried hair, avoiding the scalp. Leave it on and let it dry naturally or style as you would normally. DO NOT RINSE. Two capsules for long hair. Does not give hair the oily feel. Wash your hands thoroughly after the application. Brownie points : I used the Hair Treatment variant and it lives up to its promise. Whats more, it added volume and bounce to my hair. A lot of skin and hair issues can be avoided with a good lifestyle, right eating habits and a dose of exercising. But then, most of us give these a miss in the daily humdrum of our lives. If your hair needs attention, you know where to turn to now. Ellips Hair Vitamins. Your feedback and reviews will be much appreciated. Very useful and enlightening . Thanks Weena. I already started one of the variants so this just supports that my decision is correct.thanks. I am so glad you liked the blog and found it useful. can I use ellips hair vitamin daily after washed hair? or it a weekly thing? Please do not use them everyday, an overload of it can leave residues on the strands.